Any.DO is one of our favourite to-do apps. It's powerful, flexible, and it looks great too. However, tracking your to-dos isn't the only thing Any.Do is good at. Here are some features that you may not use or know about, and how they can help you get and stay organised. If you've used Any.DO long enough to miss a call on your Android phone (sorry, iOS users), you've run into this already. If you're shopping around for to-do apps and they all look the same, this feature is a strong differentiator. After you miss a phone call, Any.DO pops up on the bottom of your screen and offers to call the person back for you or remind you to call later. You can dismiss the alert, call the person right away, say you already did it, or you can tell Any.DO to remind you in a few minutes, a few hours or tomorrow. If you snooze the alert, it will pop up again later. The reminder also lives in the notifications bar (in Android) and can be called to the front at any time. Honestly, if you ever miss a call, it's not hard to see who called you and call the person back, but Any.DO's missed call feature makes remembering to return phone calls easy, flexible and part of the routine you already have with your to-do app. 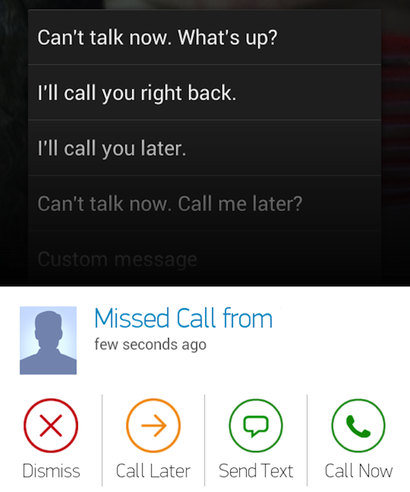 In the same vein as the missed call feature, Any.DO can be used to SMS someone you can't talk to when you're busy. If you're already on the line with someone and you get another incoming call, you'll get an on-screen alert that includes "Send Text". Any.DO will offer some messages ready to send, such as "Can't talk now. What's Up?" or "I'll call you right back." If you prefer, you can type out a custom text instead of choosing one of the templates. In any case, it's a great way to let people know that you're acknowledging their call and will get back to them on your terms. That way, you stop the inevitable second or third call, and you can even use Any.DO to add a reminder to get back to them when you're ready to talk. If you use Gmail, you can already turn your emails into to-dos using the Any.DO Chrome extension. If you don't use Chrome or you prefer a desktop email client, you can still turn your emails into to-dos. Just fire an email to [email protected] from the email address you signed up for your Any.DO account with. The subject line of your message will be the actual to-do, and the body of your message will be the notes. You can even forward emails that you want to review later, and they will show up in your to-do list after the next sync. This tip works on all devices. If you have a lot of completed to-dos in Any.DO, and you want to clean them up so you can focus on the work you have left, just shake your phone. It's not a groundbreaking feature, but it is fun, and a quick shake will bring up a prompt to clear out your completed items. You can always view your completed to-dos by going to settings and tapping "Done Tasks". 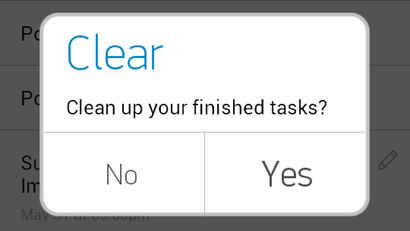 Tap the to-do you'd like to turn into a recurring task to open up the options slider just below the reminder text. 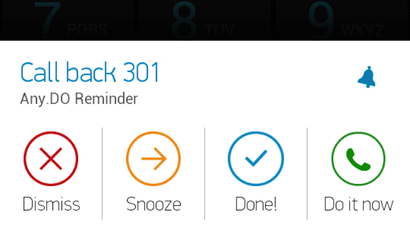 Tap the blue reminder bell to open the Reminders screen. You might have a due date and time set already. If not, go ahead and set the next due date and time for the to-do. 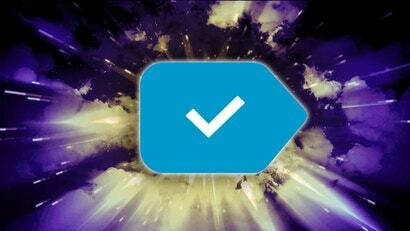 Then tap the blue bell near the bottom to select when you want to be notified. Tap the "Repeat" option below the reminder bell to set your periodic reminder. The default option, "once", means the to-do won't appear again and won't remind you again after you've marked it complete. You can select "once a day", "once a week", "once a month" or "once a year". Choose your option, then tap back. You'll see a notification that "A reminder was added", and the blue notification bell under your to-do should now be red. That's all there is to it. Unfortunately you don't get much control over exactly how your to-dos repeat. For example, something I want to do every weekday but not on weekends just has to go into the "one a day" category, and I pretend I did it on the weekends. One thing that's not clear from the setup is that if you don't have a repeat reminder on a to-do marking it complete will make it go away to completed tasks and never come back. 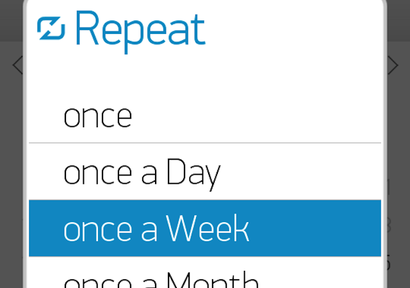 If you do have a repeat reminder set, marking it complete will still make it go to completed tasks, but the next time you sync, it will come back as a future to-do. When Any.Do Moment was unveiled earlier this year, we thought it was a pretty neat feature. It's a great way to quickly review your to-dos, and if any of them are already done, you'll get a little encouragement to stay motivated. Many now-defecting Astrid users loved how Astrid used to offer a little encouragement every time you completed a to-do, this is the closest thing we've found to that feel-good feedback. Here's the catch though — you can use Any.DO Moment in the morning or the evening. Toggling between them is one tap in the app's settings. If you use it in the morning, it's a great way to look over what's on your plate, keep items on your to-do list that you know you'll get to today and bump anything unimportant off to tomorrow. While the team at Any.DO probably intended for you to start your day with Any.DO Moment, it's just as good at the end of the day too. Think of it as a daily version of the Weekly Review. It's an opportunity to focus on what you've accomplished, get yourself ready for the next day, and to have a logical stopping point after which you stop working and stressing out over your to-dos. These are just a few features lurking in Any.DO that you may not have used if you're not using the mobile apps to their fullest. You may already use some of them diligently, and others may be waiting for you to try out on a regular basis. In any case, they're certainly not the most advertised features in Any.DO, but that doesn't make them any less powerful.